Google has recently made some algorithmic changes adding favoritism to newer fresher content. If your website is static and doesn’t produce new pages often, Google will not crawl your website as often. Having new fresh content on your website will not only increase the amount of times Google will crawl your website, it will also help to increase your website’s overall ranking. 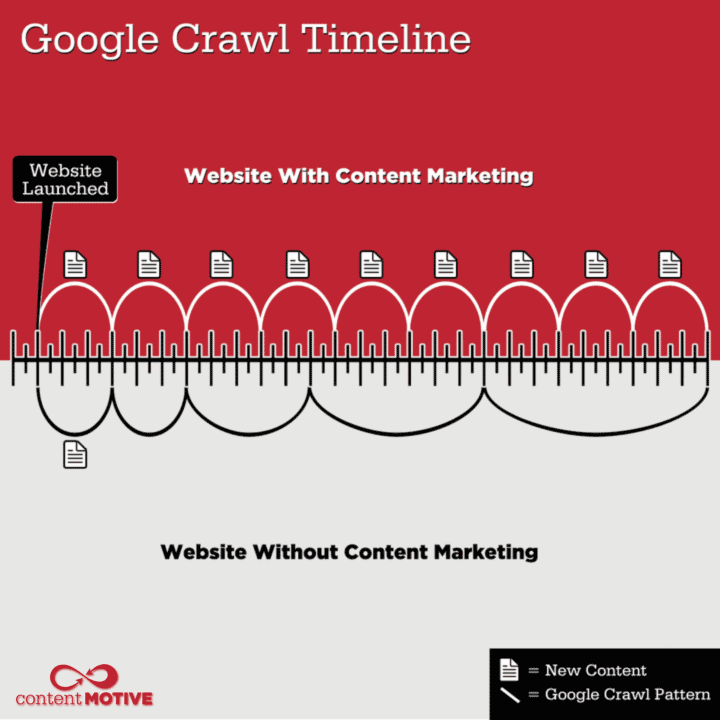 If you are interested in getting Google to notice your website, content marketing is the perfect solution. Adding content consistently over time will keep your website fresh and relevant. The post Google Indexing Your Website appeared first on Content Motive.